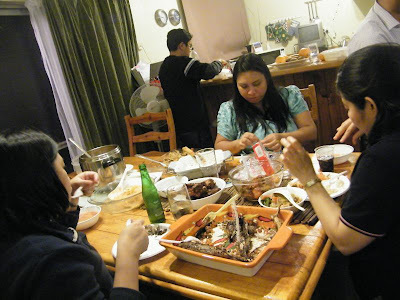 We were in for a treat at a birthday party last weekend when a guest brought bangus (milkfish) for the grill! Imported from the Philippines, and the Philippines' national fish! The smell of milkfish grilling was enough to make my mouth water. 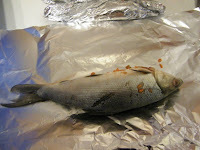 My wife helped in cleaning the fish and I took charge in salting and inserting the stuffing into the cavity. Haven't done that in a long time and I enjoyed it. She also said lemon will make the bangus even more delectable. I integrated that input into this recipe. Carrots, also finely chopped. You can grate this to make it easier. 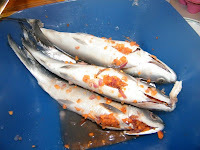 Quantity of tomatoes, onion, and carrots depend on how many bangus you have. You may also add a bit of crushed and chopped ginger if you like. 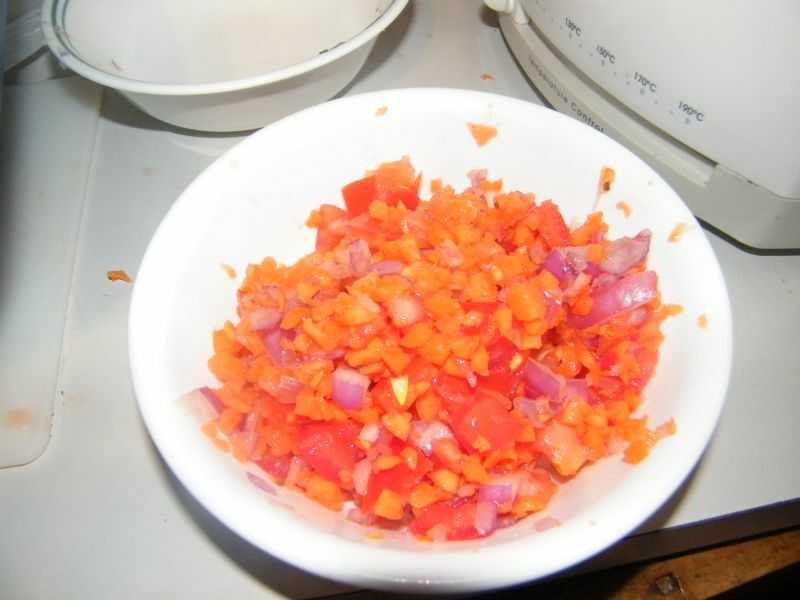 To make the stuffing: mix in a bowl the chopped tomatoes, onion, carrots, and garlic (and ginger if present). Clean the fish by removing the gills and innards. Retain the scales. Rub the fish inside-out with lemon juice, followed by salt and pepper. Stuff the cavity with the... um... stuffing. If you have lemon slices, place a couple on each side of the fish. Wrap each bangus with aluminum foil. Remove the foil and serve with the soy sauce dip. Watch it disappear before your very eyes. This is one of my favorite dishes ever! 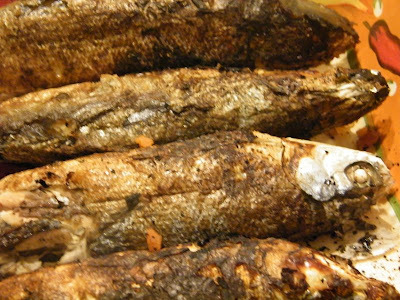 Bangus is my favorite fish to eat, especially the belly. Nainggit tuloy ako sa pictures. Me too! Mabusisi lang yung tinik pero iba talaga ang bangus. I normally do not like the belly part (and I'm sure I'm one of the very few) but the stuffing made that part extra yummy!